I had a bumper crop of basil this year. I’ve dried some and froze some. Then I read an article about saving heirloom seeds. Those are seeds that grow exceptionally well, are extra hardy or have other qualities that make them special. This post by Nadia of Love Live and Garden explains how to harvest basil seeds. 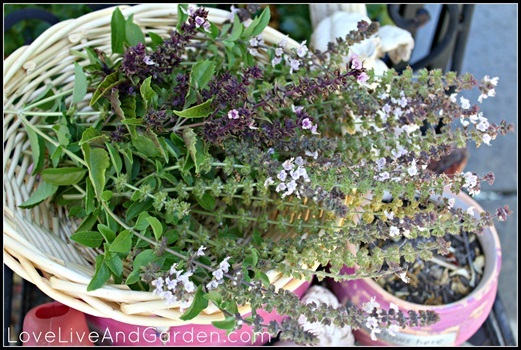 She shares some great photographs and demonstrates, step-by-step how to extract seeds from basil plants. It’s really pretty simple. If you have basil that produces well for you, you can start collecting seeds for your own heirloom collection.